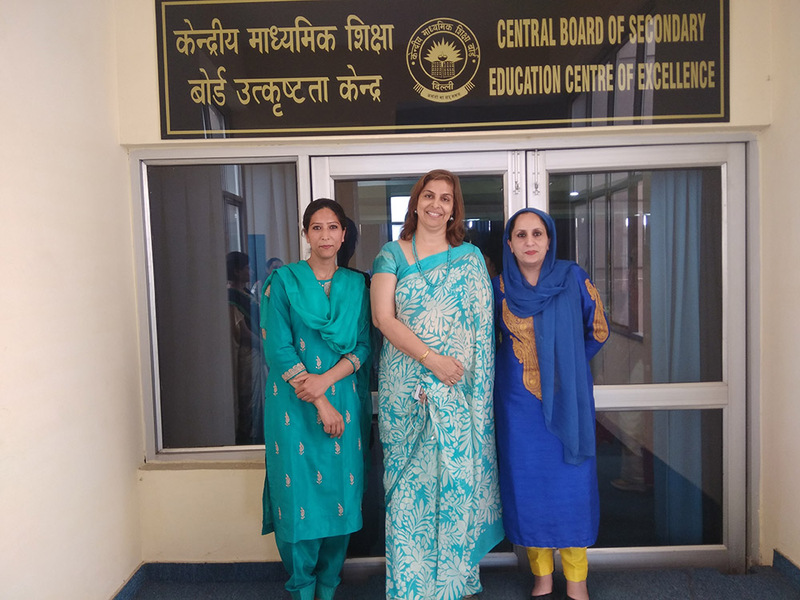 Two teachers from our school – Ms Mushkeen (English IX, X) and Ms Sheeba (English IX, X) attended a two-day capacity building programme organized by CBSE at Regional Office, Sector-5, Panchkula on 5th and 6th April’ 2018. The workshop was conducted by Ms. Aruna Bharadwaj, Ms. Neha and Ms. Ranjana (CBSE Master Trainers). Forty-one teachers from different schools attended the workshop with an aim to have a better understanding of developing and acquisition of the language by all the 4 skills (LSRW). Teachers not only explored their knowledge of the system but were also able to clarify their doubts regarding the different terms and the basic aim of teaching the language. On the second day, participant teachers engaged enthusiastically in various stimulating activities designed to provide teachers clarity about teaching grammar and writing skills. The resource persons Ms. Aruna and Ms. Ranjana appreciated the role of participant teachers in making meaningful contributions and interventions. Teachers also acquainted themselves with recent trends in language education particularly second language education.